I just received my first Spellbinders club kit and I'm lovin' it! I chose to subscribe to the Kit & Caboodle Value Club Membership, with this you get the small die, large die and card kit, I think for what you get in the box it's a great value. 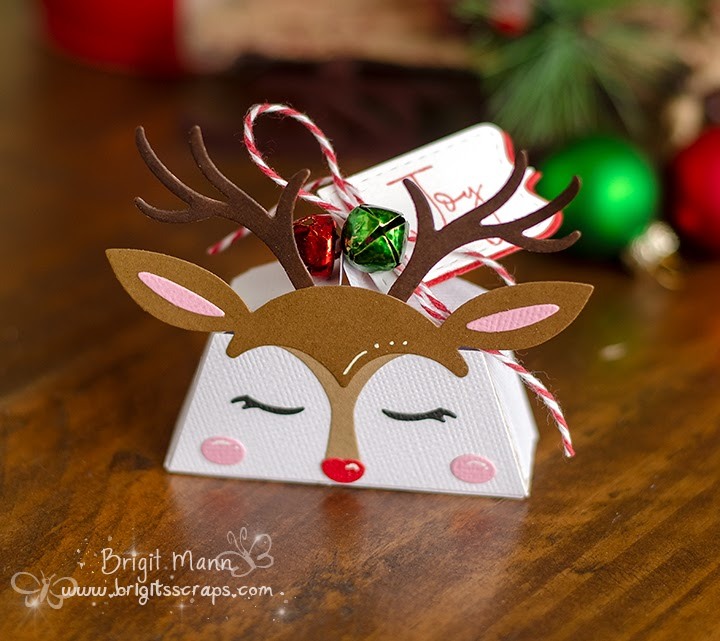 I really love the Christmas tree box advent calendar you get with the Large Die Kit and the adorable reindeer face die from the Card Kit and together I think they make an adorable treat box. I added a hole to the flaps on top and tied it closed with some twine and added bells with a tag and stamped a sentiment from the card kit. I had a bunch of scrap cardstock hanging around so I used that instead of what was in the box since this was just a test to see how it would come out. Definitely looking forward to making more of these.